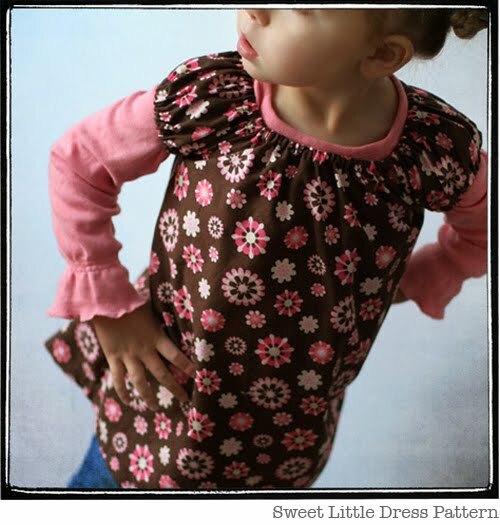 The winners of the Sweet Dress Pattern Pack from Leila and Ben are. . . So cute! I have a pillowcase that would work perfectly for this. Great! Gorgeous! And I love all of the "Katie Jump Rope", I love that line! Very cute! I made a pillow that looks very similar with the gathered center piece! I can't conclude Pattern Makeover Month without a few huge 'Thank you's'! First, a big 'Thank you' to Leila and Ben for creating such an adorable and make-overable pattern. And also for being so incredibly generous in giving away copies of their pattern. You both are awesome! Second, a shout-out to my fantastic guest bloggers, who spent so much time creating amazing dresses and tutorials to share with all of us. Thank you, thank you! My photographer (and BFF! ), Brooke deserves some recognition for her fab pictures. If you are in the Las Vegas area, you need to have her take your next family pics. She's the BEST! Oh, and she also helped edit some of my photos, making them 100% better. Love ya! And my favorite people in the entire world--K1, K2 and K3. Love you, my girlies! And a little extra thank you to K2, who ended up posing for more than her fair share of the pics. Besides being incredibly photogenic, she also happens to be at an age that can sit still, but too young to attend school. Love you, Baby! Last, but not least, a huge thank you to each and everyone of you! I love reading your comments and I appreciate your support more than you know. I will try to keep making interesting and creative things to share with you all. One other little thank you to my SYTYCQ quilters. They work so hard to make a quilt a month. And without all their hard work this contest would not be possible. Thank you, ladies. You are amazing! Whoo Hoo! So excited that I won! Thanks for the giveaway and awesome tutorials! Yay! I'm so excited I won! And thank you for all of the incredible tutorials, hard work, and beautiful dress ideas. I more than appreciate it! what a fun month it was to watch all the fun things you made! You were a crazy fast sewing lady this month! !